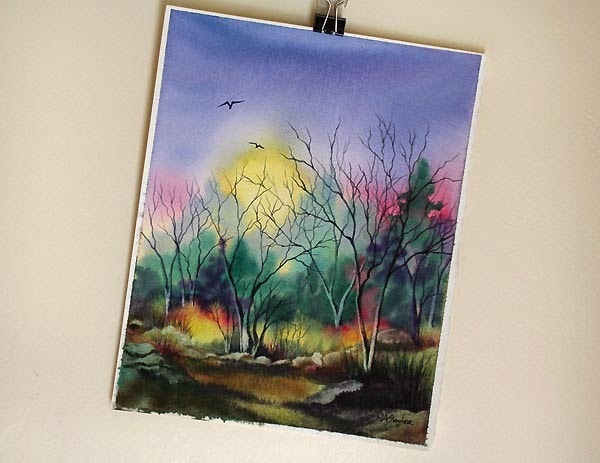 This wonderful North Pole Trail watercolor painting has been reproduced as Christmas Cards on fabulous recycled paper. The interior is blank for you to create your own special holiday message. Comes with blank white envelopes. 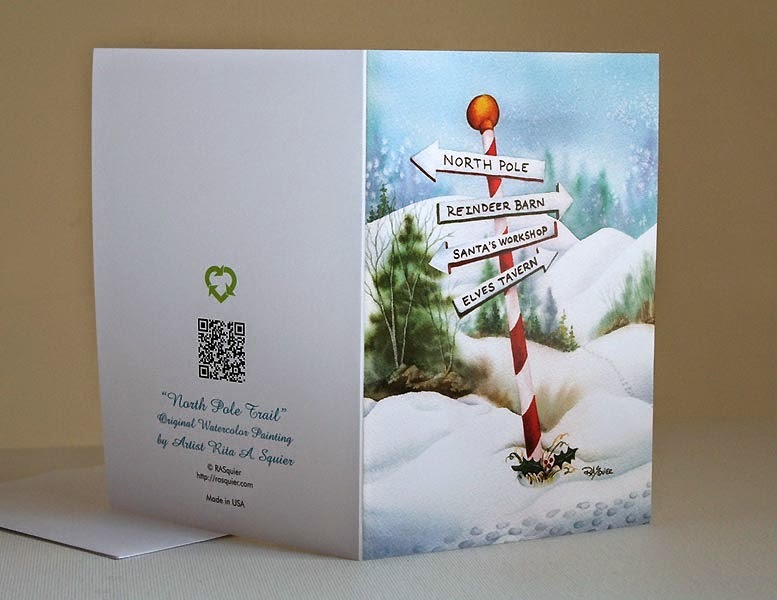 The North Pole Trail Cards can be found right now in my Squier Etsy shop in Sets of 10. 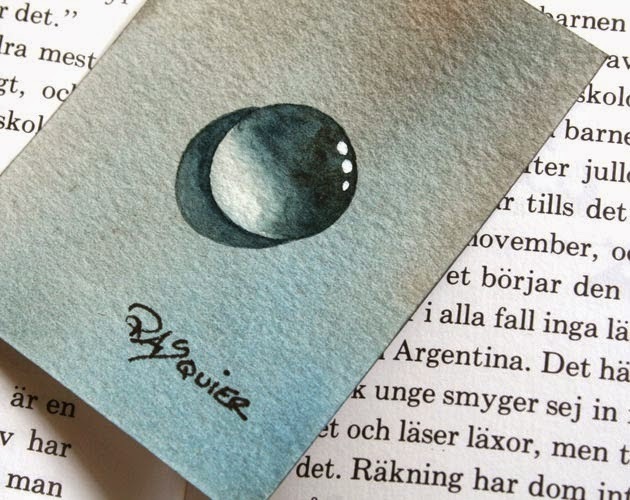 It is so exciting to see my watercolor painting printed up as cards! Love it. Autumn is a beautiful time of year and even more mystical when portrayed in beautiful vibrant mysterious colors. Find this painting and more in my Squier Etsy Shop, it could be yours! I am reintroducing some of my Dew Drop Series & Painting A Day Challenge ACEOs from 2010 back into my Squier Etsy Shop. This one Dusty Blue Dew Drop is one of my all time favorites!